Photo: What are you doing here human? 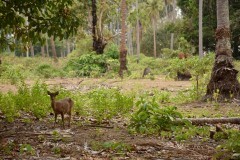 In the late 19th century, King Rama V stepped ashore on Ko Kradat and decided, “Let there be deer”. At least 100 of them still roam a landscape filled with wildflowers, coconut trees and sandy tracks leading to undeveloped beaches. 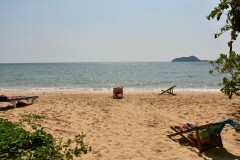 It all combines to form one of Thailand’s most unusual islands. Ko Kradat is a flat, rectangle-shaped island of some 480 square acres—much larger than the other isles found this close to Ko Mak. Quite a few travellers see it from afar when checking out Laem Son on Mak’s northeastern coast, but few make the trip across the channel. We recommend it for those looking to spend a morning or afternoon doing something out of the ordinary. Small motorboats drop visitors at a pier to the south, where farmers sort coconuts and deer gnaw on the discarded shells. Here you’ll find the only development in the form of a wooden house and some barns used by farmers who also grow herbs, fruit and vegetables. Rooms were once available, we were told, but Kradat can only be visited as a day trip at time of writing. Visitors set out on foot, hop on a tractor or borrow a manual-gear motorbike from one of the farmers to take a spin around the island. Rumbling down a sandy lane on a motorbike, which was free of charge, we couldn’t stop giggling about this island that is beautiful and bizarre in equal measure. Timid deer darted across the lane as white-headed sea eagles soared high above. The deer freely prance around the fields, pausing to munch on fallen fruit before hopping into a small patch of jungle when in need of seclusion. With the herds having first arrived via the whim of a highly revered Thai king, Ko Kradat’s few resident farmers do not eat or otherwise harm them. This is deer paradise. Beaches ring much of the island, accessed by sandy tracks that loop around and cut through the fields in a haphazard way. Coconut trees reach out over the water and several swings and lounge chairs help to make this a fine place to spend a few hours relaxing and swimming. The tan sand felt as soft as any found ... please log in to read the rest of this story. To reach the island you can arrange a boat at the only restaurant on Laem Son in Ko Mak’s eastern reaches. The price is 250 baht per person, or 500 baht if going solo, for a round trip, and Ko Kradat is open to visitors from 08:00 to 17:00. 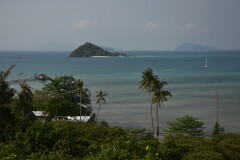 It’s also close enough to reach by kayak, though none were available on Laem Son when we last passed through. 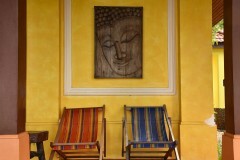 A selection of some of our favourite places to stay in Ko Mak. 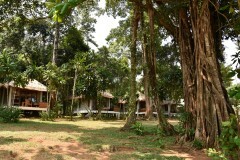 Browse our independent reviews of places to stay in and around Ko Mak. 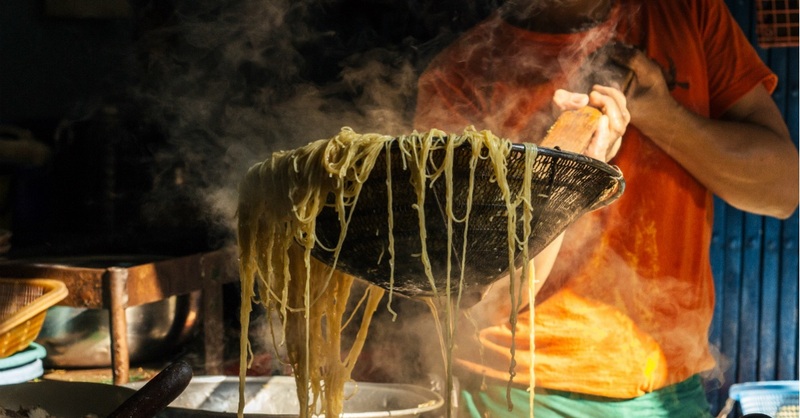 Read up on where to eat on Ko Mak. 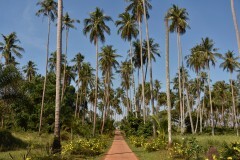 Check out our listings of things to do in and around Ko Mak. Read up on how to get to Ko Mak, or book your transport online with 12Go Asia. Planning on riding a scooter in Ko Mak? Please read this. 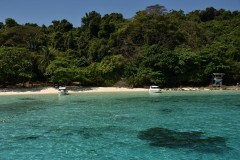 See below for more sights and activities in Ko Mak that are listed on Travelfish.org.